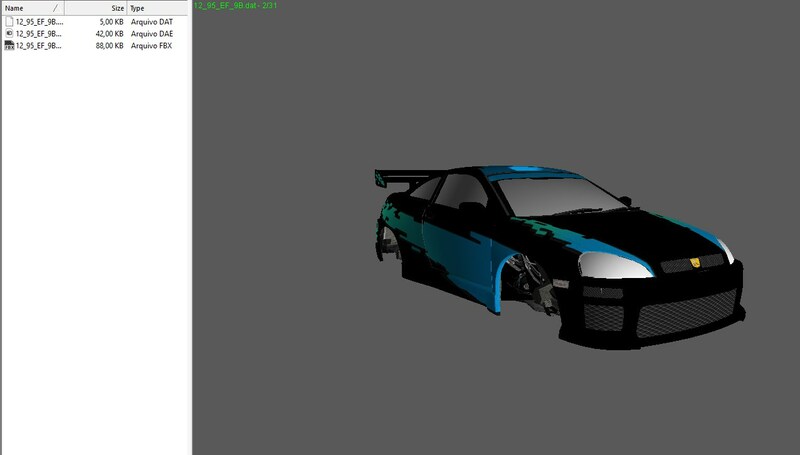 [PC] Burnout Paradise model file ".dat"
Post subject: [PC] Burnout Paradise model file ".dat"
I extracted car model files with Noesis with plugins, Noesis can view the 3D model, but I want to edit this. What should I do? This is a ".dat" and I want to convert this file to ".z3d"
Note: Noesis not opening model file, opening model header and view model file. I can't upload the Noesis plugin, because It's ".py"
File comment: This is the model header file. File comment: This is the model file. Post subject: Re: [PC] Burnout Paradise model file ".dat"
Now open ZModeler2 and go in File>Import and then find your .obj file and click import. After importing you can save your model (it will get the extension .z3d). If there are some missing texture in your model, you can add the textures path in ZModeler search list (Options>Settings>Services>Textures>Add), it's useful to put the generic textures folder in this list. I don't know if someone else has made I plugin to export directly from Noesis to ZModeler (.z3d). PS: ZModeler version 2.2.5 and newer has obj importer. DGIorio, where I can find noesis plugin for BP .dat models? I'm still working in the noesis plugins, but I think they are in a good state to release. I've been making an unpacker (PC/XBOX/PS3) and a packer (PC) tool. I also made a model viewer and texture viewer for PC version. The scripts need to be put in the folder "Noesis\plugins\python" and put the two generic folders (textures and models) in main Noesis folder (Noesis\). Also it's better to put Noesis in some folder without spaces in the path (like C:\Noesis). For opening models, you can click in the files without "_model" that are inside the folder "0C_00_00_00" or click in the file inside the folder "06_00_01_00" to open all models together and in their positions. 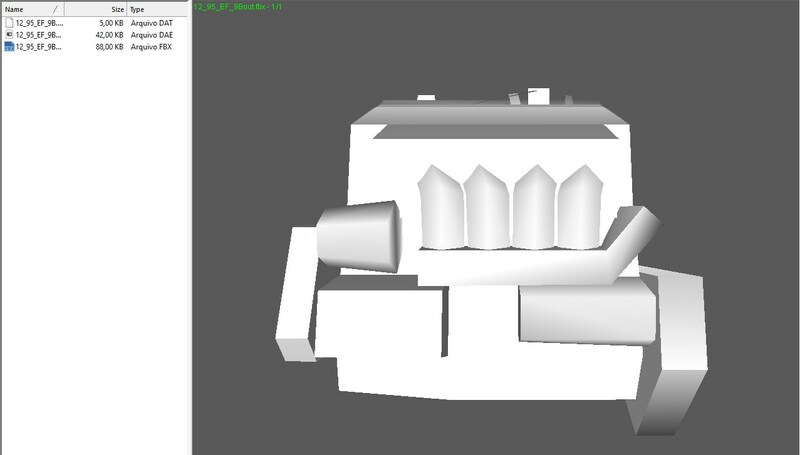 For city models (TRK_UNITs) the main file is in the folder "23_00_00_00". For opening textures, you can click in the files without "_texture" that are inside the folder "00_00_00_00". It's possible to the noesis batch-process to convert the textures to .dds. PS: before opening the models it's good to first convert the textures to .dds, so when exporting to obj the textures can be found. DGIorio, great! thank you, I'll try it when I get back home. Hi, I did many updates in the scripts, I forgot to come back here to update the download link. I will back home in some days, so I can put the updates here. Oh wow, check this out. - Vehicles have bones and bone weights (damage info) applyed in the 3D model when the AT file is unpacked in the same folder as GR file. Just some export formats keep these information (like .fbx). PS: avoid spaces in path names, because some export formats can't find textures when there are spaces. I did some updates since my last post here and probably I deleted the previous link. I've been working on Blender addons to replace my Noesis sripts. They are working pretty well. If you want those addons just let me know. Oh wow, never knew these existed thank you for them. Sure, can I give them a try? 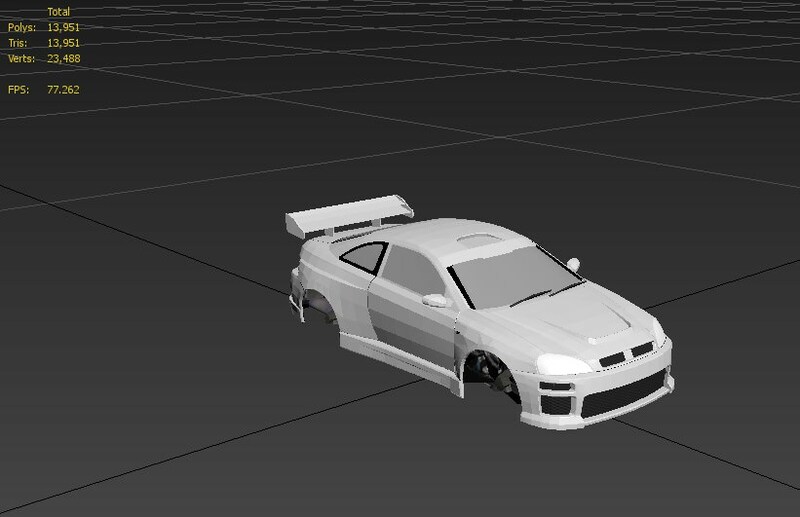 For example on a test for NFSHP PC version I get the following results towards end of the log, doesn't seem to load every asset, in the viewport they are missing, UVs are messed up for the terrain and missing textures, some terrain parts are misplaced, most roads are missing/not loading and some textures for it load some do not, etc.